We’ve reached that time of year again when all self-employed people need to start thinking about their tax. The January 31st deadline won’t be an issue to the majority, but for some it will certainly fill them with dread. Whether you are an established property professional or someone who has become an accidental landlord due a slow housing market, you need to declare your rental income in the form of a tax return. Last year, HMRC said it was closing in on £550 million of unpaid tax from lettings and warned of the consequences that apply to those found to be committing tax evasion. HMRC’s Let Property Campaign calls on landlords to come forward in order to receive lower penalties. Tax typically applies to the profit made on a rental, not the amount paid by the tenant each week or month. Where the landlord has a portfolio of properties, all the rental incomes can be put together on one return. The rate of tax depends on the amount earned between April 6th in one calendar year and April 5th in the following. For 2014-15 you are entitled to the personal tax allowance of £10,000 (against all income including income from employment). The next £31,865 is charged at the basic rate of 20%. Those earning between £41,866 and £150,000 pay 40% and 45% is applicable over £150,000. The personal allowance is withdrawn on incomes between £100,000 and £120,000 giving a marginal rate of 60%. Landlords are permitted to deduct any allowable expenses from their income, with tax only being paid on the remainder. Common deductions include utilities (if not paid by the tenant), insurance, mortgage interest, service costs (such as gardeners and cleaners), repairs and maintenance, letting agent fees, accountancy fees, ground rents and service charges, legal fees and advertising. The cost of floor, loft and wall insulation can be claimed up to £1,500 at present, but this allowance will end in April. Landlords who let out properties that are furnished can claim up to 10% of their net income for wear and tear. Online landlord tax specialist uklandlordtax.co.uk offer a fixed fee service for landlords from just £115 plus VAT and provide a free property tax guide as well as free help and advice on all residential property tax matters. If the landlord does not live in the UK, the tenant or letting agent is usually required to deduct 20% of the gross rent received and pay this to HMRC. To avoid this non resident landlords should register under the Non Residents Landlord Scheme using form NRL1. Once registered HMRC will instruct the tenant or letting agent to stop deducting tax. 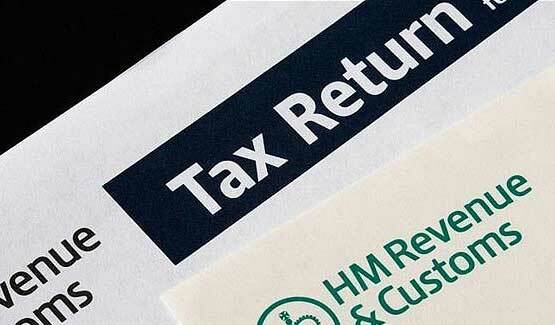 The penalties for failing to notify HMRC of your rental income can be considerable. Non-deliberate payment of tax can result in a penalty of up to 30%. Deliberate non-payment carries penalties of up to 70%, while concealment of income can see you charged between 50 and 100%. All LettingaProperty.com Landlords can access their invoices via their Dashboard once logged in to their account. Just in case anyone needs a blank form NRL1, I found a fillable form here: nrl1 form. Great Article. Thanks for the info, super helpful. Does anyone know where I can find a blank “2003 UK Inland Revenue Form NRL1, [10/03]” to fill out?